Tell us about yourself and your published titles. I live in New Jersey with my husband, two kids, and a very adorable cat. I’m a children’s book author and my first published book is a picture book called I HAVE A BALLOON, illustrated by Scott Magoon (Paula Wiseman Book/Simon and Schuster). It’s about Owl who has a shiny red balloon, and Monkey who wants that balloon very much. My chapter book series, WARREN & DRAGON, is illustrated by Mike Malbrough (Viking/Penguin Random House). 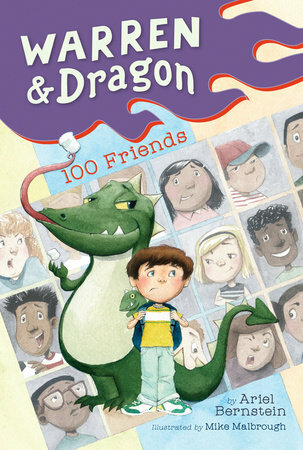 It stars seven-year-old Warren, and Dragon, his pet dragon. Only Warren knows that Dragon is real, everyone else sees him as a stuffed plushie. But that’s where the fun starts! 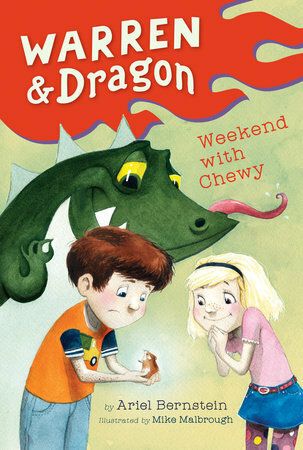 The first two books in the series, 100 FRIENDS and WEEKEND WITH CHEWY, published August 28, 2018. Tell us why you started to write for kid lit. I read a ton of picture books to my two kids (I still do! ), and started to think of stories. I didn’t know how to write picture books, so I joined SCBWI, and followed sites like Kidlit411.com. I learned a lot about the process of writing and submitting picture books before I gradually moved into writing chapter books as well. Tell us about your Messy Muse- what inspired you/propelled you to write. This is a good question, and I wish I had a profound answer, but unfortunately I rarely think about a muse before I start to write. It’s usually after I’ve written a story that I see the connection to things in my own life. For example, after I wrote I HAVE A BALLOON about an owl and monkey who covet the same balloon and sock, I realized that my kids often have a similar reaction when one is holding an item and the other suddenly wants it very badly. I also noticed that after I wrote the first WARREN & DRAGON BOOK that the sister character, Ellie, is very similar to my own sister, Debi. They are both very sociable and make friends easily. One time that I did have a muse before writing was when I saw an old picture of one of my family’s many camping trips growing up. 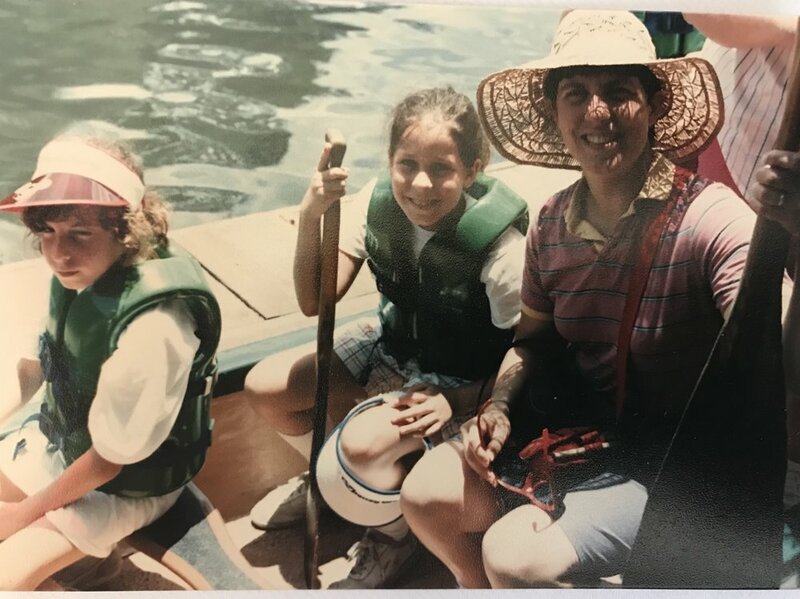 My dad must have taken the photo as it shows my mom, sister, and me in a small boat. My mom and sister are smiling, while I am miserable, glaring at my dad. I thought it was a pretty funny juxtaposition and created a picture book called WE LOVE FISHING based just on the photo. It will be published in Fall 2020 by Paula Wiseman Books/Simon & Schuster, illustrated by Marc Rosenthal. It’s about four friends who go fishing. Three of them love to fish, while Squirrel does not. I’m obviously the Squirrel character. In addition to WE LOVE FISHING, there will be a sequel to I HAVE A BALLOON called WHERE IS MY BALLOON? It is also illustrated by the wonderful Scott Magoon and will be available January 22, 2019 (Paula Wiseman Books/ Simon and Schuster). Two more books in the WAREEN & DRAGON chapter book series will be out in 2019. DELUXE VOLCANO pubs April 2, 2019, and SCARY SLEEPOVER is available June 25, 2019. WHERE IS MY BALLOON?, DELUXE VOLCANO, and SCARY SLEEPOVER can all be pre-ordered at a local bookstore, IndieBound, Barnes and Noble, or Amazon now!